A new definition of anti-Semitism adopted by the government has been welcomed by a charity that provides security and advice for Britain’s Jews. The Community Security Trust (CST) said the definition, drafted by the International Holocaust Remembrance Alliance’s (IHRA), complements existing definitions and could help tackle anti-Jewish hate crime. Anti-Semitic incidents were up 11 per cent to 557 incidents in the first half of 2016 compared to the same period the year before. 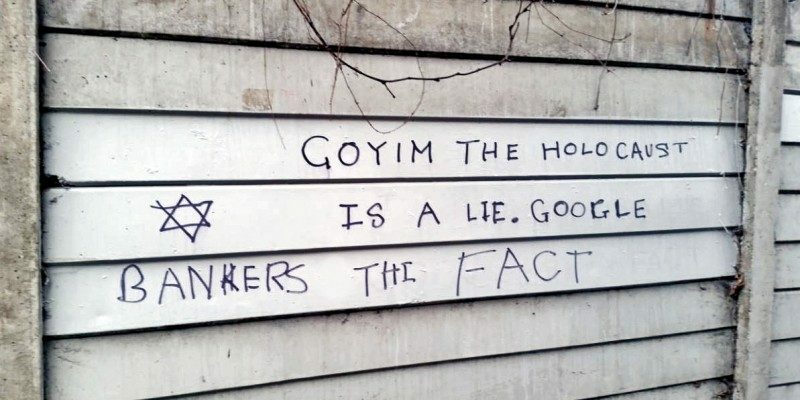 The new definition states: ‘Anti-Semitism is a certain perception of Jews, which may be expressed as hatred toward Jews. “The IHRA definition complements the MacPherson definition in a practical way. MacPherson dictates that, where there is a complaint of anti-Semitism, it should be investigated as such. “We think an agreed definition along these lines could make a significant difference to the way that complaints of anti-Semitism are handled by a range of public and private bodies, in the way that [the National Union of Students] has successfully used the IHRA definition’s predecessor, the EUMC working definition, in the past. This is good news and about time too.